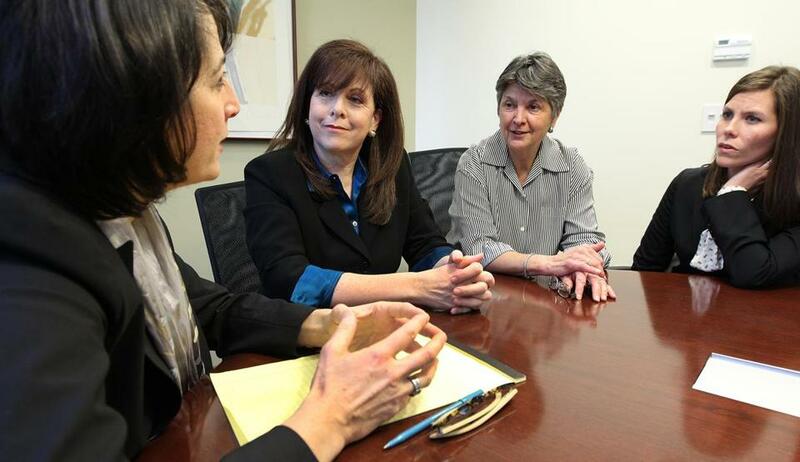 Dr. Carol Warfield (second from left) is flanked by attorneys (from left) Ellen Zucker, Laura Studen, and Lynn Norton. In a striking settlement of a high-profile case, a Harvard doctor who said she endured years of sexist treatment at Beth Israel Deaconess Medical Center will collect $7 million — and will have the hospital’s pain clinic named in her honor. Employment lawyers said the hospital’s settlement with Dr. Carol Warfield, its former chief of anesthesia, appears to be one of the largest for a gender discrimination case in Massachusetts. Ilene Sunshine, a lawyer who represents defendants in bias suits, said it seems “enormous,’’ though she pointed out that it is hard to compare because settlements usually remain confidential. The agreement — in which the hospital and other defendants did not admit doing anything wrong — closes an embar­rassing stretch in the ­Harvard teaching hospital’s ­illustrious history. Warfield, who became chief of anesthesia in 2000, said Dr. Josef Fischer, former surgery chief, discriminated against her because she is a woman, openly ignoring her in meetings and lobbying for her ­removal from her job. When she complained to Paul Levy, then chief executive, she ­alleged, both men retaliated against her and forced her out. Warfield sued the hospital, Fischer, Levy, and the hospital’s physician group in 2008. On Wednesday, the parties filed a notice in Suffolk Superior Court that they had resolved the case, and released a joint statement to the hospital community. A trial had been scheduled to begin this past Monday. As part of the settlement, the hospital agreed to “reaffirm and clarify its policies and procedures’’ for employees reporting discrimination and retaliation, said Warfield’s attorney, Ellen Zucker of the Boston firm Burns & Levinson. Zucker released key details of the settlement with permission from the defendants. The hospital also agreed to sponsor an annual lecture series on women’s health and the academic contributions of women in surgery. And Warfield will retain her endowed professorship. Levy’s lawyer declined comment on the settlement, and Fischer’s attorney did not return a call. Other lawyers involved in the case would not discuss how the dollar amount or other aspects of the agreement were reached. But employment attorneys said the hefty settlement could be based on several factors, including Warfield’s high earning potential as a prominent anesthesiologist. If a plaintiff can prove her complaints went all the way to the top of an institution — in this case to Levy — that also can increase the potential settlement. Attorneys said it is also likely that Beth Israel Deaconess wanted to avoid a trial that could have publicly opened old wounds given Levy’s difficult departure from the hospital in 2011. He stepped down amid criticism over his close personal relationship with a female employee, whom he subsequently married. He ignored warnings from other executives and board members about the pitfalls of the relationship, which became an issue in the lawsuit because Warfield and her attorneys argued that it pointed to Levy’s disregard for workplace rules. Kevin Powers, a Boston lawyer who represents plaintiffs in bias suits, said the settlement is the largest he is aware of in Massachusetts for an individual alleging gender discrimination. And he said the other terms of the agreement send a significant message. The hospital “obviously wants to do something that just doesn’t compensate her but also makes a statement that has lasting public impact and bolsters good will,’’ Sunshine agreed. Warfield joined the medical staff at Beth Israel Deaconess in 1980. Over the next 20 years, she wrote two books, one of which is a best-selling anesthesia textbook, expanded the hospital’s small pain clinic into an internationally-known program, and was promoted to full professor by Harvard Medical School — and became the first women to head an anesthesia department at a Harvard teaching hospital. She rose through the ranks while raising three children alone; her husband died unexpectedly when their youngest child was an infant. Soon after she was appointed to revive the anesthesia department in 2000, Fischer was appointed chief of surgery in fall 2001. A nationally known surgeon, he was considered a key player in turning around the financially struggling hospital — someone who could use his influence to attract young surgeons who would in turn bring in patients. Surgeons and anesthesiologists normally work together closely. But Warfield said that soon after he arrived, Fischer was abusive and demeaning toward her, letting the door shut on her when she was following him into a room and replying to one of her male colleagues when she spoke to him. Her lawsuit includes e-mails between Beth Israel Deaconess leaders, internal hospital memos, and testimony from other doctors and nurses saying that Fischer was not only uncomfortable working with Warfield but with women generally. He once told a group of Beth Israel Deaconess nurses that he preferred to hire residents, or doctors in training, who are "tall, light skinned Western-taught men," according to an e-mail from a nurse that was filed as part of the lawsuit. While she was on sabbatical in 2007, Warfield said in the suit, Fischer campaigned to have her fired for incompetence. Shortly before she was to return to the hospital, Levy told her by e-mail that he was demoting her as department chairwoman. When Levy met with her colleagues the next day, he said she was too aggressive and had failed to maintain a good relationship with Fischer. 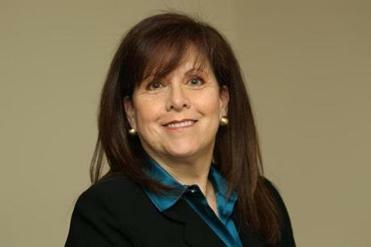 Levy asked Fischer to resign in June 2008 — after Warfield filed her lawsuit — saying his management style was no longer appropriate for the hospital. Fischer no longer performs surgery at the hospital, but he has an endowed professorship through Harvard Medical School and the hospital provides him an office. Warfield said she will continue to see patients part-time and to do research at Harvard Medical School and serve on committees, including one on the status of women at the school. She also is working to improve medical care in Ethiopia, where operations often are performed without advanced anesthesia, she said. Zucker said that even when plaintiffs win at trial they often find themselves pushed out of careers they love. She said the result in this case avoids that fate. “It is gratifying that we have here a resolution that celebrates the importance of the hospital’s mission and Dr. Warfield’s contributions to that work,” she said.